Winter Promise (WP) is a provider of complete curriculum packages (excepting math and often science, depending on the program). Their philosophy is primarily Charlotte Mason with an emphasis on living books, narration, timelines, and historical fiction read alouds. One main difference from other similar curriculum providers is the addition of hands-on projects, paper crafts and notebooking pages. American Story 1 (AS1) is the first part of WP’s two year American history plan. 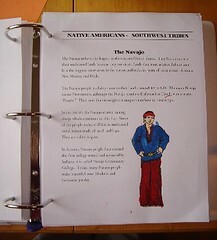 It is designed for grades 1-3 and covers life in America from Pre-Columbian times to Westward Expansion. The package is expensive ($379) because of the quantity of books included. The plus side is that most of these books are ones you will want to keep as you build your home library. We used this curriculum for my daughter’s third grade, and it overlapped into fourth grade. I never regretted my purchase of AS1. It was a perfect fit for my crafty, history loving daughter. Two time periods that especially stand out in my memory are the American Revolution and the Lewis and Clark Expedition. There is also a wonderful emphasis on Native American peoples that cycles throughout the entire year. You want a literature based history curriculum. You want to move through all of American history in 2 years. You want hands-on activities and papercrafts integrated into the program and already planned out for you. You enjoy using a timeline. You don’t need tests, comprehension questions, or vocabulary lists. You like a well organized, open and go schedule. You enjoy the support of an online forum where you can interact with other curriculum users. The guidebook is your schedule that lays out the reading assignments in a weekly format. It offers a plethora of choices, usually including several hands-on activities and a website or two. The expectation is that the mom will selectively choose which ones to try. No one is expected to do it all. We did a lot of it, but never all of it. I love how the activities are already planned out, often in the form of reproducible paper crafts. All I have to do is photocopy and my daughter is ready to cut and create. Other projects require more preparation or supplies, but none are terribly complicated. Directions are found either in a book that is part of the package or in the guidebook. 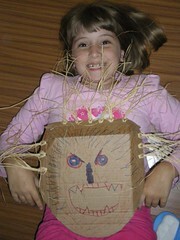 The crafts are woven into the program in a very skillful way, matching the activities with the curriculum content. My daughter made dioramas, a model travois, salt dough pendants, an earthen Hogan model, and 3D paper maps. She always looked forward to the papercrafts and projects, and I felt that they added a lot of enjoyment and excitement to the program. Best of all, I didn’t have to hunt down ideas as I had done with other curricula. Generally each week has one to two notebooking pages assigned, always recapping something you’re studying in the lessons. The books are wonderful. 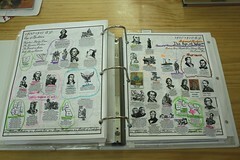 There is a delightful combination of picture books, non-fiction books, coloring books, and biographies to teach history. The read alouds are relevant historical fiction which generally match the time period you’re studying. We loved every one of the books. There was not even one dud in our estimation. WP guidebooks do not include specific notes for the books. There are no comprehension questions, no vocabulary lists, and no tests. The guidebook is basically a schedule with suggested activities. I found the notebooking pages very disappointing. Although the topics chosen each week were good and the frequency seemed just right, the pages themselves are too text heavy. Generally the pages include a black and white graphic and text. There is nothing to do, write, or draw. We sometimes used these pages by reading them and highlighting key parts. Or we cut out the graphic and wrote our own text. Basically, the WP AS1 pages are not true notebooking pages, so we often resorted to creating our own. If you like the notebooking option, you may want to look for pages from another resource to complement AS1. AS1 is designed to go along with a timeline, and the suggested figures are listed in the guidebook. You can use your own timeline or buy the WP notebook timeline cardstock pages. I love the format of WP’s timeline because you can put notebooking pages among the history timeline in the correct places. The pages are heavy duty cardstock, already hole punched and ready for a notebook (not included). They are actually quite pretty with fancy script headings and a list of some key events on each page. A faint map background gives the page a bit of visual interest but doesn’t distract from the timeline figures. You can use your own timeline figures, buy a package from WP, or use the Homeschool in the Woods packs. The WP owners and guidebook writers are Christians, but AS1 is not overtly Christian. A secular homeschooler could easily use WP by simply omitting the Bible portion of two titles. I found the Bible portion too shallow, and we chose to substitute with something meatier. If you’re interested in WP but the high price is a barrier, consider buying used. Homeschool Classifieds and Vegsource often list WP packages (often complete or nearly complete) at reduced prices. Be patient, plan ahead, and check the ads daily. If you’ve used WP American Story 1, please share your own pros and cons here. Or if you’re searching for information, please feel free to ask any questions that you still have. I’ve always wanted to get WP but the price is very high. I’ll have to check on the used ones. Thanks for this review. .-= Martha´s last blog ..My Internet Provider Gets Me Upset but not for long =-. You are right, Martha. It is pricey. But most all literature based programs ARE expensive. I hope you find a good deal. They are out there! I just wanted to let you guys know my thoughts about Winter Promise. I LOVE their curriculum! It’s so awesome! Of course with every curriculum there are pros and cons. I simply adore all the WP exclusives and I love their WONDERFUL catalog! I look at it all the time! I used American Story 1 last year and I just bought American Story 2, Language Arts 3 and the Animal Habitats. What I have seen so far looks great! I LOVE the “Make Your Own History Book” and Activity Pack! In science, the “Make Your Own Animal Book” looks really good too as well as the Habitats Journal. I look forward to receiving the teachers guide, time line figures and the “Field Trip Pages”! I LOVE how they use the Charlotte Mason method! I love all the crafts too! I LOVE how their exclusive student worktext in the Language Arts 3 coordinates with the themed program by using readers and ideas for your child to write about. I plan on using them again for next year! With American Story 1 last year, I noticed “The Birchbark House” main plot is how a young Indian girl learns to listen to and communicate with spirits. I really didn’t think that was appropriate for a 6 year old. With that type of stuff, I believe it should be read by older children. Something else that was disappointing was the little attention given to the Pilgrims and their arrival in America. In fact, our rich Judeo-Christian heritage was left out. I also found that a lot of the books went over my six year olds head. Bible seemed to be just thrown in here and there, rather than Bible being another subject, I would LOVE if they intertwined the Bible more with the books they use. Like giving more scripture references and topics to discus on character and moral values. Some of the books used are secular/evolutionary/old earth and I understand like My Father’s World, they use mostly secular books and they do warn us about the material before we read it (which is a plus). I understand that Christians should not live a bubble but should be taught about different world views, I would just like it to be more from a Biblical world view. They do use Answers In Genesis for older grades. They also use “The Mystery Of History” and that is definitely a major PLUS!! I look forward to using that! I understand that many of their books are secular, but I would like Bible to be apart of all of it rather than just a small part of it. I think the WP exclusives are WONDERFUL and I would love if they thought about using their own Bible studies to correlate with some of the secular books they use. Like putting in a discussion time and more Bible verses. I find that the more Winter Promise uses their own exclusive stuff, the more I like it! A lot of the secular books they use are great too, I would just like to see more of God in it. Something someone wrote about WP on a secular discussion board upset me. One of the ladies said their curriculum was great because although they were a Christian company, it was easy to take Bible out completely because they only used one book and God was left out in everything else. I also read on a blog that it was good to use them because since none of the books were Christian, people who use charter could easily use the curriculum. That troubled me to read that, because I am sure they don’t want to be viewed as a non-Christian company just so the government will help pay for peoples school supplies. Don’t get me wrong, they do use Christian books too. I really do LOVE the curriculum and that is why I wanted to take the time and write this. I love all the website links and their Timelines in History is wonderful! I can’t wait to use “Children Around The World” next year. .-= Corrinne ´s last blog ..Spending The Day At The Museum =-.